Custom formulations allow our customers the ability to create a supplement according to their exact specifications. This exclusive service allows your business to create a one of a kind supplement to bring to your consumers and audiences. Many formulations can be made into serums or powders, giving your line a diversity that can help your products stand out. In addition, we can supply your line in the form of concentrates, bulk product, or finished product, allowing you to serve your customers in any way they need. Our team has over 20 years of experience in producing and creating custom formulation products to ensure only the highest quality reaches your consumers. Our scientists have the ability to turn your custom formula into a variety of products. Formulas can range in sizes and can be made into various forms like tablets, serums, or even as water soluble powders. Your product is then labeled with one of our custom design labels, making it the unique and indispensable part of your company’s brand. Our team is skilled in everything from single ingredient products to complex formulas that provide a mix of natural nutrients not found anywhere else. Eliminate the need to hire multiple entities for manufacturing. BioThrive Sciences helps companies increase the reach of their products, as well as their bottom lines. Contact our expert manufacturing team for start-to-finish supplement manufacturing and custom formulation. 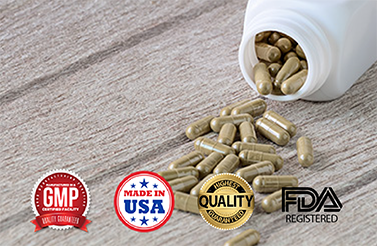 BioThrive Sciences is a leader in contract and private label supplement manufacturing. Contact us at +1 (844) 263-3657 or fill out our online contact form to begin creating your custom formulation product.